MyChamberApp allows chambers and their members to promote their businesses, events and hot deals to people living and visiting within their local community. 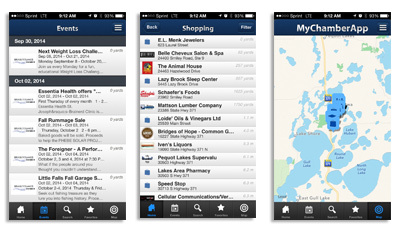 Equipped with location-based mobile technology, the directory information on MyChamberApp is instantly geographically relevant, making it a great way for consumers to find your chamber and local discounts and hot deals offered by chamber member businesses. 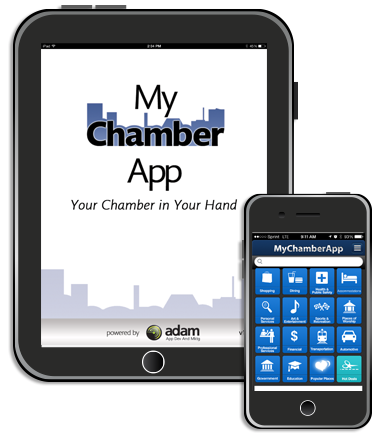 MyChamberApp integrates seamlessly with your Chamber’s ChamberMaster database; if your chamber is a ChamberMaster user, you can sign up for MyChamberApp here. The app is free to anyone to download and available for iOS and Android devices.